The Committee approved the final mandates on the Plant Improvement Bill (B8B-2015) and Plant Breeders Bill (B15B-2015). The DA’s request for both bills to be debated in the House was rejected by the majority. The Department of Agriculture, Forestry and Fisheries briefed the Committee on its Annual Performance Plan for 2018/19. Prior to the briefing, Committee members expressed their unhappiness with the late provision of departmental documents. The Department apologised for this and advised it would provide a written response to the Committee on why this occurred. A thread that was present throughout the presentation of the plans and budget of DAFF, was that the funding for DAFF was inadequate and that it impacted negatively on the overall delivery of the its plans. LandCare - this programme was introduced to enhance sustainable conservation of natural resources within communities via job creation and improved food security. This included programmes for fortified veld management to enhance livestock carrying capacity and livestock productivity, combating of weeds and invader plants as well as physical structures like fences to protect environmental assets and natural resources. Fisheries - A key development in fisheries was a comprehensive Small Scale Fishers Policy that was initiated in 2016 and the programme was expected to be concluded by 2021. A key deliverable would be provide fishing rights for small previously disadvantaged communities. In 2020 a number of current large fishing rights will expire. This will require reallocation of rights and would afford the department to redress some of the past imbalances in the industry. Committee Member queries were mainly related to the accessibility of DAFF programmes and delivery plans to communities, funding for the Land Bank and the status of agricultural colleges and agri-parks in some provinces (especially in Gauteng). Some members also wanted the provincial information in the budget and departmental plans to be shown at municipal level. Other engagement topics with the Department were about vacancies, inland aquaculture, the lack of new players in the fishing industry and what DAFF was doing to address wasteful and fruitless expenditure. The Chairperson welcomed the Deputy Minister (DM) and his team and advised that the Committee had a very full diary for the day and asked members and presenters to stick to allotted time for presentations and discussions. He advised that the Committee would first deal with the Plant Improvement Bill and Plant Breeders’ Rights Bill before the presentation by DAFF on its Strategic Plan and 2018-19 Budget Vote. He asked the Deputy Minister for a few opening words. Mr Sfiso Buthelezi said he was very pleased to attend the meeting and was looking forward to a good engagement session with the Committee. He tendered an apology for the Minister and DG who was at another meeting with the Portfolio Committee on Agriculture, Forestry and Fisheries. The Committee proceeded to vote on the Plant Bills. There were no discussions on the mandates; provincial delegates merely advised whether there was support or opposition to the Bill. Ms Z Ncitha (ANC; Eastern Cape) said that the province supported the Bill with some amendments. As there was no Free State delegate present the Chairperson read the Free State mandate which was to support the Bill. Mr E Mlambo (ANC; Gauteng) indicated that the province supported the Bill. Mr A Singh (ANC; KZN) said that the province supported the Bill with some amendments. Mr C Smit (DA; Limpopo) stated that the province supported the Bill with some amendments. Mr A Nyambi (ANC; Mpumalanga) reported that the province supported the Bill. Ms C Labushcagne (DA, WC) said that the Western Cape did not support the Bill. No mandate was received from the Northern Cape. No information was provided about the North West. Mr Asgar Bawa , Committee Secretary, advised that as the majority of provinces supported the Bill, the changes in the Bill would be adopted. The Chairperson then read the Committee’s formal recommendation to the NCOP, i.e. that the Committee had agreed to, and would amend the Bill. Mr Singh supported the proposal and Ms Ncitha seconded it. Ms Labushcagne asked if the Bill could be debated when it was presented to the NCOP. Mr Smit supported the proposal. Mr Nyambi said that there had been sufficient time in the Committee for discussions on the Bill and as the Committee had now reached a decision, all that was needed was for the Committee decision to be presented to the House - there was no need for any debate. Mr Singh supported this view. Ms Labushcagne said that there had to be a discussion on the Bill in the NCOP - as the public had not been informed sufficiently on the impacts of the Bill and the debate there would inform them. 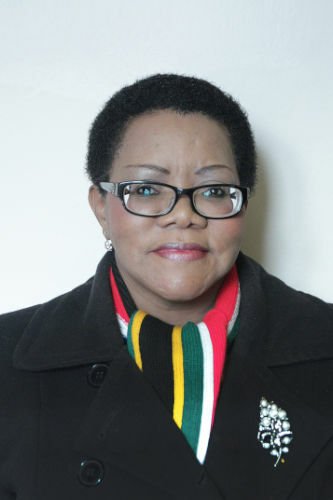 The Chairperson said that there was two opposing views on whether to allow a debate on the Bill in the NCOP or not - and asked members to vote on the issue. Only three members (Ms Labushcagne, Mr Smit and Mr Julius) supported the proposal that the Bill had to be debated in the NCOP. All other members (Ms Ncitha, Mr Mlambo, Dr Mateme, Mr Nyambi and Mr Singh) supported the view that there was no need to debate the Bill - the latter proposal was adopted by the Committee, as it was in the majority. Mr Smit wanted it to be placed on record that the DA was not in favour of this approach. The Chairperson advised that this would be noted as such. The voting proceeded as follows. Ms Ncitha said that the province supported the Bill with some amendments. Mr Mlambo advised that the province supported the Bill. Mr Singh said that the province supported the Bill with some amendments. Dr Mateme advised that the province supported the Bill with some amendments. Mr A Nyambi (ANC) reported that the province supported the Bill. Ms Labushcagne said that the Western Cape did not support the Bill. The Committee Secretary advised that seven votes had been received; 6 provinces supported the Bill, one province did not support the Bill. Five votes were required to pass the Bill; hence the Bill was adopted as per the mandates by the Committee. The Chairperson then read the Committee’s formal recommendation to the NCOP that the Committee had agreed to, and would amend the Bill. Dr Mateme supported the proposal and Ms Ncitha seconded it. A similar procedure then unfolded as with the previous mandate - the DA (Mr Smit proposed and was seconded by Mr Julius) that the Bill be debated in the NCOP when it was presented. This was opposed by the ANC (Mr Mlambo proposed and was supported by Mr Singh). The voting outcome was exactly the same as for the previous Bill (5 no debate, vs. 3 debate) and the Committee adopted the view that there would be no debate on the Bill in the NCOP. Mr Smit wanted it to be placed on record that the DA was not in favour of this approach. The Chairperson advised that this would be noted as such. This concluded the briefing on the provincial mandates on the Plant Bills. The Chairperson then asked DAFF to proceed with the briefing on its Strategic Plan and budget vote. He again reminded presenters to be mindful of the time constraints the Committee had due to other parliamentary commitments. At the outset Committee members were unhappy that DAFF only provided the Committee with the material for the meeting at 08:30 on the morning of the meeting. The report was very voluminous and given the importance of the budget vote it would not allow the Committee sufficient time to interrogate the reports to enable it provide meaningful input and feedback to DAFF. Ms Ncitha stressed that she was not happy with this unfair treatment to the Committee by DAFF and that if it occurred again the Committee should refuse to engage with the Department. The Chairperson said he was in agreement as the Budget Vote was an important issue and the Committee had to be given enough time to study the report prior to engaging with the Department. Mr Smit said he agreed with Ms Ncitha - it was totally unacceptable that the Committee had to be treated in such a manner. Mr Mlambo said he was not happy with the late receipt of the report and that the Committee could not just leave the matter as is - he wanted to know what the reason was for the report only being made available to Committee members this morning. Mr Julius agreed, he wanted to know if the National Assembly Portfolio Committee on Agriculture, Forestry and Fisheries received the same report and when they received it. Mr Nyambi said all had to take responsibility for their actions - given the importance of the issue at hand, the Department should brief the Committee but the Committee could just as easily had asked DAFF to “pack up and go” as it had not provided the Committee with the information timeously. Dr Mateme asked that DAFF provide the Committee with assurances that this would not happen again. The Deputy Minister apologised and said he was in total agreement that the Committee had to receive information such as this timeously to enable it to study the documents prior to engaging the Department. He did not know why the documents were late but that he would discuss the issue with the DG to ensure that it did not happen again. He would follow up and that the Committee would get a written response from DAFF. Mr Joe Kgobokoe, DDG: Policy, Planning, Monitoring and Evaluation, DAFF, led the departmental briefing and outlined outlined the plan for presenting the information to the Committee - he said he would present key aspects on the Annual Performance Plan (APP), Ms Elder Mtshiza would talk on the CASP programme (Comprehensive Agricultural Support Programme), Ms Lydia Bosoga would provide input on the LandCare Programme and that Ms Sue Middleton and her team would provide some information on Fisheries, especially the new small scale fisheries policy. Mr Kgobokoe said that DAFF’s APP was driven by the NDP and was done on an integrated basis involving a wide range of national and provincial governments, public entities, as well as other industry stakeholders. The various sector priorities identified in these engagements informed the deliverables for the ensuing years. Departmental programmes were aligned to Government MTSF (Medium Term Strategic Framework) objectives , Phakisa and SONA 2018 deliverables. to create 300 000 smallholder producers by 2019.
to reduce the number of households that were vulnerable to hunger from the current 11.3% to 9.5% by 2019.
to contribute to eradicating unemployment by providing 500 000 jobs by 2019 and 1 million by 2030. MTSF outcome 10 - to reduce the vulnerability and risks of climate change. The DAFF APP included climate change adaptation and mitigation plans in agriculture, forestry and fisheries to reduce the impact on climate change. DAFF plans were aligned to Phakisa outcomes. These included a target of 255 graduates to be placed in the department for capacity development (Phakisa Programme to upgrade livestock knowledge skills). Another example was under Phakisa’s Trade Promotion and Retention Programme where DAFF was targeting marketing opportunities for fish. Alignment to SONA 2018, were included in a number of departmental plans, e.g. - number of hectares of land rehabilitated (LandCare programme), Climate smart agriculture (agriculture, forestry and fisheries adapted to mitigate impact on climate change) and an enabling environment for smallholders to access markets (SONA’s Horticulture input). Lastly, Mr Kgobokoe provided the budgets for the various departmental programmes. He emphasised that the budgets were not sufficient and that the hampered the effectiveness departmental programmes. The budget for Agricultural Production, Health and Food Safety was R2.367bn. This included, amongst others - funds for the deciduous fruit industry, Ilima/Letsema projects and the Agricultural Research Centre (ARC). The budget for Fisheries was R478.8m and included funding for Aquaculture (R39.8m) and R259.7m for the Marine Living Resource Fund. Ms Elder Mtsihza, Chief Director: CASP, DAFF, gave an overview of the departmental programmes on CASP and Ilima/Letsema. Some of the policy imperatives that guided this programme was to create 1m jobs by 2030 and to expand commercial agriculture to include 250 000 direct and 130 000 indirect jobs by 2030 and to ensure the sustainable use of natural resources. CASP targeted the hungry, previously disadvantaged subsistence smallholder and commercial farmers, entrepreneurs as well as woman, youth and people with disabilities. The CASP grant provided agricultural support, addressed flood-damaged infrastructure and sought to revitalise agriculture colleges into centres of excellence. The goal for the Ilima/Letsema Programme was to reduce poverty through increased food production and this was achieved by providing assistance to vulnerable communities to achieve increased agricultural production. Ms Lydia Bosoga, Director: Land Use and Soil Management, DAFF, said that LandCare was a community- based initiative that sought to optimise productivity and the sustainable use of natural resources. The purpose of the Programme was to enhance sustainable conservation of natural resources within communities via job creation and improved food security. A key deliverable was to ensure that there was capacity to implement the programme and to guide and assist communities in reaching the agreed objectives and good governance practices. These included programmes for fortified veld management to enhance livestock carrying capacity and livestock productivity, combating of weeds and invader plants as well as physical structures like fences to protect environmental assets and natural resources. In 2017-18, 24 448.67 hectares were rehabilitated under the LandCare programme, 2012 work opportunities were created and 21 098 people benefits from the initiative. Mr Craig Smith, Director: Small Scale Fisheries, DAFF, briefed the Committee on a new initiative within DAFF that sought to improve the market access and situation of small scale fishers. The new policy would put a framework in place that would enable small scale fishers to participate meaningfully in the fishing industry with its own rights and allocations. R19m was budgeted for for the process and would impact four provinces - the Northern Cape, Western cape, Eastern Cape and Kwazulu Natal. ongoing support programmes for small scale fishers. Ms Middleton advised that 12 of the 22 commercial fishing rights would require renewal by 31 Dec 2020. She advised that the Fishing Rights Allocation Process (FRAP) was quite an extensive process that required substantial input and resources over a period of 18 months. DAFF would be embarking on this renewal and reallocation process in due course. This concluded the briefing by DAFF on its plans and budget for 2018-19. The Chairperson asked that - given the time constraints - Committee members limit their questions to three during the first round. If time allowed additional questions could be asked during the second round. Mr Smit said he was not happy with only being allowed to ask three questions. The Chairperson asked members not to use abusive language when engaging on issues and asked Mr Smit to withdraw his remark - the word “nonsense”. Mr Smit said he would not withdraw the remark as the aspect he raised did not make sense to him - it was “non sensical” he said. A heated exchange followed between Mr Smit and the Chairperson, culminating in the Chairperson asking Mr Smit to recuse himself from the meeting if he was not prepared to withdraw the remark. Mr Smit refused and left the meeting. Mr Nyambi commented that the insensitive language used by Mr Smit was undermining the Committee and that merely asking Mr Smit to leave the meeting was not enough. He asked that the matter be reported to the NCOP. Mr Nyambi asked the following questions - he asked if DAFF could provide information at municipal level as well (not just at provincial level). He wanted to know about the filling of critical vacancies and if the Department was satisfied with the programmes in place or if it felt more could be done. He wanted to hear more about developments in the oceans economy. Mr Nyambi said that there had to be mutual respect in the meeting - for the Department and for the Committee. Mr Julius said he agreed that mutual respect had to be in place but that it did not mean that the Department had to be “molly coddled” (his words) - the Committee had to be frank and honest in engaging with DAFF and had to “call a spade a spade”. He said his questions would be related to Gauteng. He wanted to know what to know what the latest developments were regarding the West Rand Agricultural Institute. The facility was a flourishing farm when bought for R11m in 2012. The facility had since been abandoned and nothing was happening there and was currently was falling into disrepute. Mr Julius also wanted to know the whereabouts of the DG. The relationship between the DG and the Minister was strained and not good. 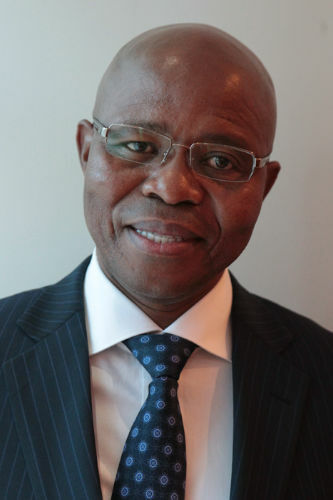 What was the current state of affairs were within DAFF regarding the position of the DG? He wanted to know if there were plans for disciplinary steps. The Chairperson asked that questions had to be fair and not be preambled by allegations and unproven issues. Mr Julius said he was merely commenting on allegations made by the Minister regarding the DG. The last question posed by Mr Julius related to the Agri-park(s) on the West Rand. This he said was also falling apart. He wanted to know if there were any plans to develop a market locally on the West Rand instead of shipping West Rand produce elsewhere. Dr Mateme commended DAFF on a good presentation but wanted to know how it was enabling communities to access its programmes. She also wanted to know if there were any Phakisa plans in Limpopo. Ms Ncitha said she was appreciative of the DAFF presentation. She however wanted to know more detail around the allocation to the Land Bank and how the funding would be disbursed. Ms Ncitha asked which Agricultural Colleges were being prioritised and what the basis of this was. She asked that the Committee be kept updated on the progress regarding investigations into fruitless and wasteful expenditure. Mr Mlambo said he had a problem regarding co-operatives, regardless of whether these were registered, most were dysfunctional. He wanted to know what DAFF was doing to address the problem. He queried the current status of the Olifantsfontein College and wanted to know what the current situation was regarding the operation of the college. He wanted to now what DAFF’s plans were for inland small scale fisheries. The Chairperson said he was concerned about the low number of new entrants into the fishing industry - it was always the same usual big players. The 2020 reallocation for fishing rights afforded an opportunity for DAFF to open up the market for new players rather than just the few elites, he said. His other concern was the accessibility of water to emerging farmers. Often, he said - emerging farmers were given land to farm on, only to discover that the water rights were not included in the land transfer. This was problematic as it meant that the farmer had no access to water and was thus doomed to failure. He wanted to know what DAFF was doing to address this problem. The Deputy Minister thanked to the Committee for accepting the Department’s briefing on its 2018-19 reports. He said the constraint of resources within DAFF would hamper service delivery. Agriculture was an important sector of the economy and contributed meaningfully to economic growth in SA. A better balance of funds was needed. He indicated that he was concerned about monopolies and oligopolies in the industry - this needed to addressed - but could not be done overnight; however something could be done about this over time. The Deputy Minister provided the following feedback on the DG - the principle of “innocent until proven guilty” had to prevail in this instance. The DG was back in office (for the last three weeks) and was currently with the Minister engaging the Portfolio Committee on Agriculture, Forestry and Fisheries. Mr Kgobokoe said title deeds were the responsibility of the Department of Land Reform and Rural Development (DLRD). DAFF had a good working relationship with DLRD and could pass the request on to them who could respond to the Committee. The reduced budget had impacted negatively on departmental programmes, but DAFF was working with National Treasury (NT) to manage the issue where critical shortages occurred, e.g. some additional funds were received for monitoring of the country’s borders to enhance health and food safety. Ms Mtsihza advised that information at a municipal level was possible and would be provided in future. She said that the issue regarding the Agri Parks in Westonaria was a provincial matter and that DAFF was not involved in programmes such as these. She said that there were some Phakisa Programmes that included inland provinces like Limpopo. She said that there would be an announcement in due course by the Minister and Deputy Minister on the Land Bank to explain the new process. Mr Kgobokoe said there was a moratorium on vacancies within DAFF due to budget constraints. It was impacting negatively on the overall delivery of work plans. There was a DAFF task team looking at possible solutions to the problem. The Department was satisfied with its programmes but that more could be done if there was additional funding. He confirmed that agricultural colleges like those in Gauteng were provincial matters and that DAFF was not involved in these, hence could not comment. He said that there were departmental records on investigations into fruitless and wasteful expenditure and that these could be provided to the Committee. Mr Kgobokoe said he understood the Committee members concern about co-operatives. Although there was some departmental support these were still not running effectively. He said that he was not satisfied with the support to co-operatives. Ms Middleton and her team responded on the queries related to fisheries. Ms Middleton agreed that the 2020 FRAP would afford the Department an opportunity for new entrants into the industry and would also allow for transformation in the industry. The new small scale fisheries programme would target new entrants from previously disadvantaged communities. Ms Bernatzeder said that the Phakisa Oceans Economy included both coastal and inland areas and that the Aquaculture Development Bill included fresh water operations. 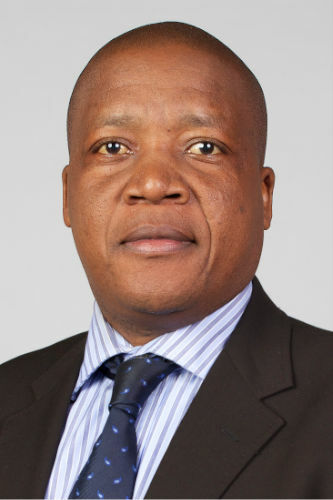 Mr Kgobokoe concluded the briefing by officials by indicating that he agreed that DAFF could do more to enable communities to access departmental programmes and initiatives, including the translation of documents. The Deputy Minister concluded the Departmental responses to the Committee by saying that in addition to language the overall communication of the Department had to be improved so that it enabled communities access to departmental programmes and they would then know what government was doing. He commented that the additional departmental funding for the Land Bank was to assist the bank with development funding (de-risking) for grants to emerging black farmers so that it did not impact on other funds that required market related repayment terms. The Chairperson asked that other questions be held over until another time (due to time pressures as the result of other parliamentary commitments). He suggested that the department brief the Committee more fully on its Aquaculture Programme in the near future. He then read the formal Committee response on the DAFF Budget Vote Proposal that indicated that the Committee had concluded its deliberations on the Budget Vote. Dr Mateme proposed that this be accepted and Mr Nyambi supported the proposal. The Committee approved the minutes of the meeting held on 18 May 2018. The Chairperson asked the DM for some final comments, prior to closing the meeting. The Deputy Minister advised that the Department would respond in writing on some issues as agreed. He apologised for the late submission of the budget review documents to the Committee. He said that DAFF appreciated the engagements with the Committee as it enabled the department to reflect on issues and that this improved the overall delivery of its plans. The Chairperson adjourned the meeting at 12h55.